Do you want access control that is easy and keyless? 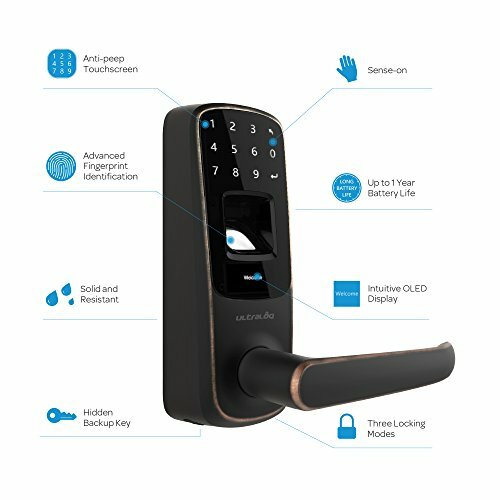 Do you want a fingerprint lock with code alternative that can manage your office access? Sick of losing keys and sick of cutting them? 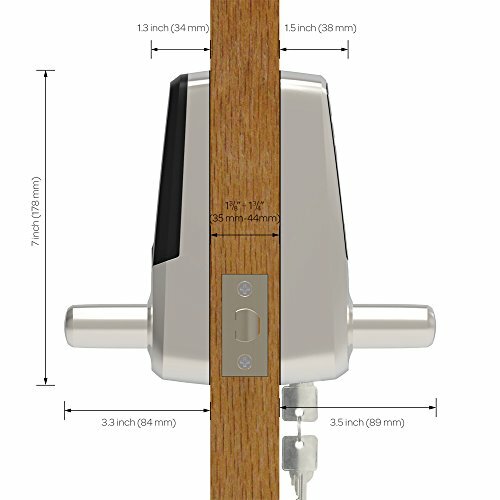 If you are fed up with a lack of privacy and prying eyes or just want your space to be secure then this keyless smart door lock is for you. Your man cave will be safe from the wife and kids at last. But the lock can store up to 95 different fingerprints and so it is a versatile unit and works easily for the young and old as well. It has rapid recognition technology which can match your fingerprint in about half a second. It is weatherproof, waterproof, scratchproof and dustproof to make it as thief-proof as possible. 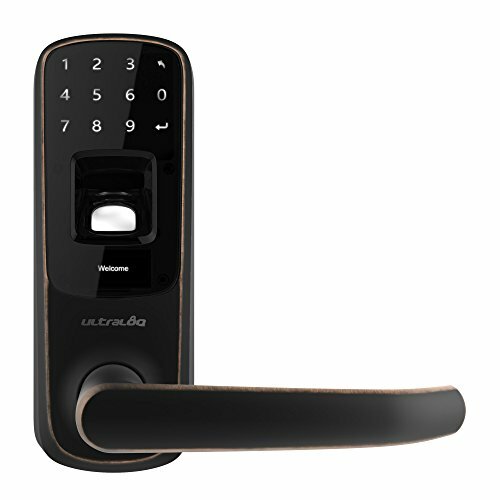 Not only that but the smart lever fingerprint lock can be opened using the code which has a number of safety features. The digits are designed not to wear out like other code door locks, showing which digits are included in the code. 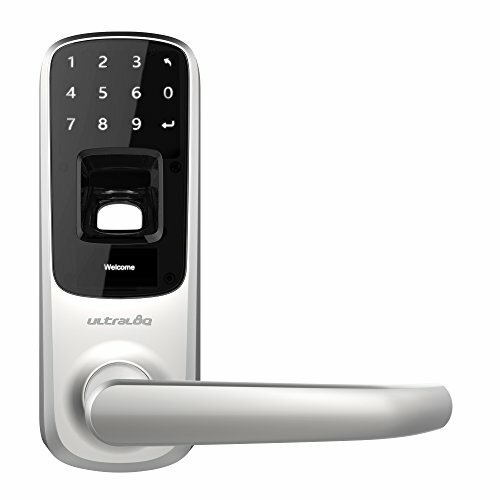 The keyless smart door lock is even smarter than you think as you can type in as many numbers as you like and as long as the passcode is within the sequence somewhere it will unlock the door. Anyone peeping to try to get the passcode will be foiled. Access control is about restricting access at the same time as allowing authorized people ease of access. 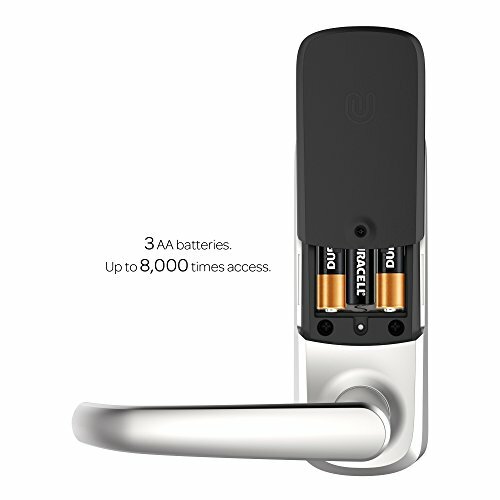 The smart door lock comes with reversible handles, can be fitted by anyone with average DIY skills and the batteries last for up to 18 months. There is also a Bluetooth enabled version which will open with your smartphone. It is very strong, next to unbreakable. So you can’t really “break in”. Registers up to 95 different fingerprints so many people can come in if you register them. Takes only half a second for it to recognize your fingerprint and get in the house. Also unlocks with a passcode. You can type as many numbers as you like as long as the code is somewhere in the numbers.